Congratulations to Ian Dixon of Greenray Partners Ltd. who is our December Prize Draw Winner! 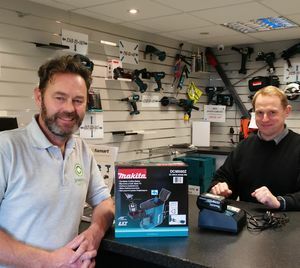 Ian won a Makita Coffee Machine (DCM500Z), Makita 18v/3.0ah Li-ion Battery and Charger. We hope he enjoys a nice cup of coffee on site!